SEMINAR with Professor Martha Feldman on “Live coding and the process of discovery” » Triple E.D. It is the absolute pleasure of TripleED to invite you to an exciting seminar with Professor Martha Feldman! Martha is perhaps most well known for her work on Organizational routines and use of qualitative methods. In this seminar, through her extensive experience, Martha will guide us in live coding and how to go from raw data to great discoveries. If you are interested in coming, please let me know and I will send you two informative articles that frame the conversation. Martha will have material for you to code, BUT you are encouraged to bring your own qualitative data if you have the possibility to make the exercise even more worthwhile. 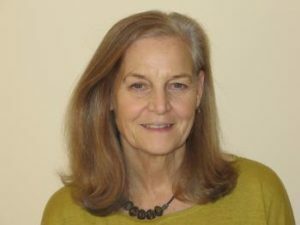 MARTHA S. FELDMAN (Stanford University PhD, 1983) is the Johnson Chair for Civic Governance and Public Management and Professor of Social Ecology (Department of Planning, Policy and Design), Business, Political Science and Sociology at the University of California, Irvine. Her current research on organizational routines explores the role of performance and agency in creating, maintaining and altering these fundamental organizational phenomena. She is a Senior Editor for Organization Science and serves on editorial boards of several management journals. She received the Administrative Science Quarterly’s 2009 award for Scholarly Contribution and the 2011 Academy of Management Practice Scholarship Award. In 2014, she received an honorary doctorate in economics from St. Gallen University Business School and was listed by Thomson Reuters as a highly cited author. In 2015, she received the Academy of Management Distinguished Scholar Award from the Organization and Management Theory Division and was elected as a Fellow of the Academy of Management. In 2016, she received the Keith G. Provan Award for Outstanding Contribution to Empirical Theory from the Public and Nonprofit Division of the Academy of Management. She can be reached at feldmanm@uci.edu. Martha is at USBE for working on common projects together with Markus and Linda (Rouleau). This entry was posted in Guests, Qualitative methods, Seminar. Bookmark the permalink.